In the past there was a large wave of companies who rushed into China. Over the last few years though there have been more employees who refuse to stay because of concerns of their health. Not a significant issue to most, but when the China natives decide to leave due to concerns of their health and now their wealth that is of concern. CNN reports on Chinese who are choosing to leave because of risks to their wealth and health. 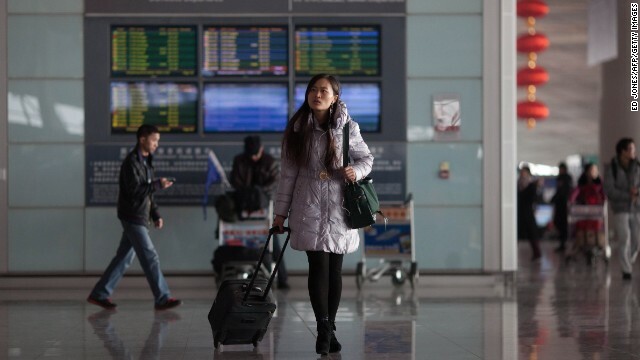 Many are leaving China for reasons like education, food and wealth security and air quality. Paper in China calls exodus "the world's worst brain drain"
Hong Kong (CNN) -- "Culture is not the main reason why most Chinese people leave. This is a romantic view. Most people leave China because of practical reasons like education, food and wealth security and air quality." Analyst are even making the observation. Meanwhile, unbridled economic growth has brought a string of food and environmental scares in its wake. Smog from pollution has reached levels hazardous to human health and blanketed the capital Beijing and much of northeast China in recent months, prompting Premier Li Keqiang to declare a "war on pollution." Those who can afford to exit are considering their options very seriously. "High net earners cite wealth preservation, education for their children, food and environmental security as the main reasons for considering investment immigration,"
said Jennifer Zeng, a private wealth expert from management consulting firm Bain & Company.